Ever wondered what sciatica actually is? Sciatica is usually the name given when the sciatic nerve is irritated or compressed in some way, causing pain down the back of the leg where the sciatic nerve runs. There are lots of different causes of sciatica but the main ones are either a disc pressing on one of the nerve roots or piriformis syndrome where the piriformis muscle presses on the sciatic nerve. Here is a picture showing where the sciatic nerve runs and why pain, tingling or numbness can be felt all the way down to the foot. 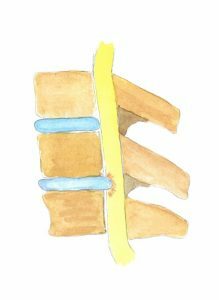 A disc would affect a nerve as it leaves the spine and depending on how much the disc is bulging effects how far down the leg the pain is felt. Discs can also cause weakness in the muscles and the loss of reflexes. If you ever experience pain down both legs with problems going to the toilet you must seek medical attention as soon as possible as it could be something called cauda equina. 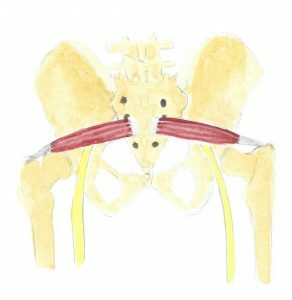 This next diagram shows where the piriformis is and how close it lies to the sciatic nerve. Therefore if this muscle is in spasm it is more likely to affect the sciatic nerve. If you suffer from pain in the back or leg why not give us a call and see if we can help. 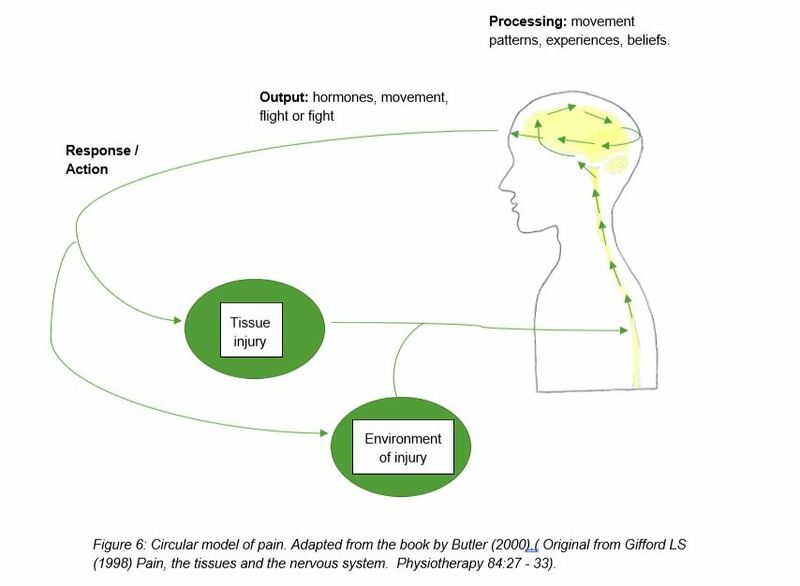 We can do some orthopaedic tests to help us work out where your pain is coming from and the bast way to treat it. 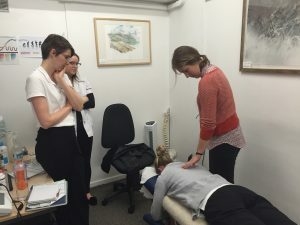 You will then know how to manage your pain and how to prevent it coming back with advice on the best exercises to do along with treatment such as massage if a muscle like the piriformis is involved or treatment to reduce the inflammation in the spine. To book your free chat call 01763 878087. 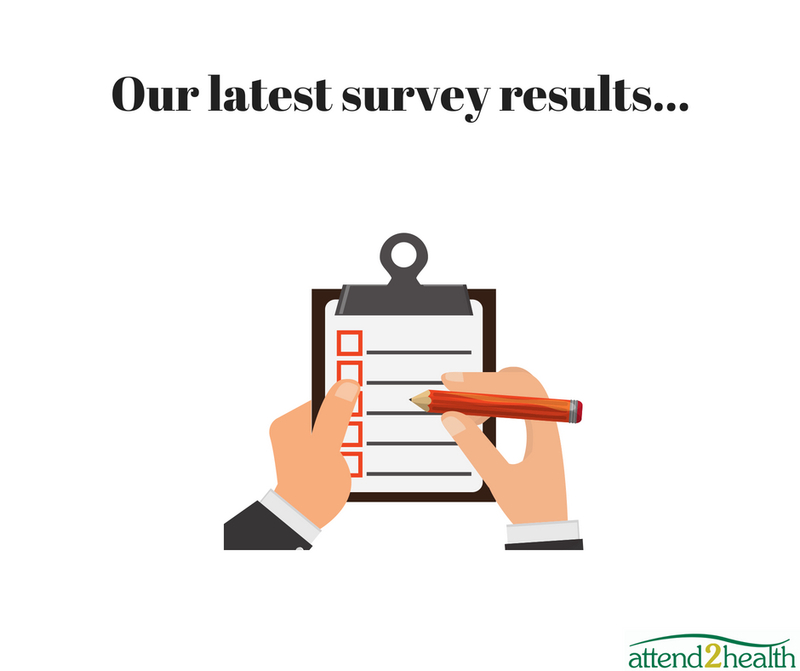 At attend2health we like to make sure we are doing all we can to help our patients and to make improvements where we can. 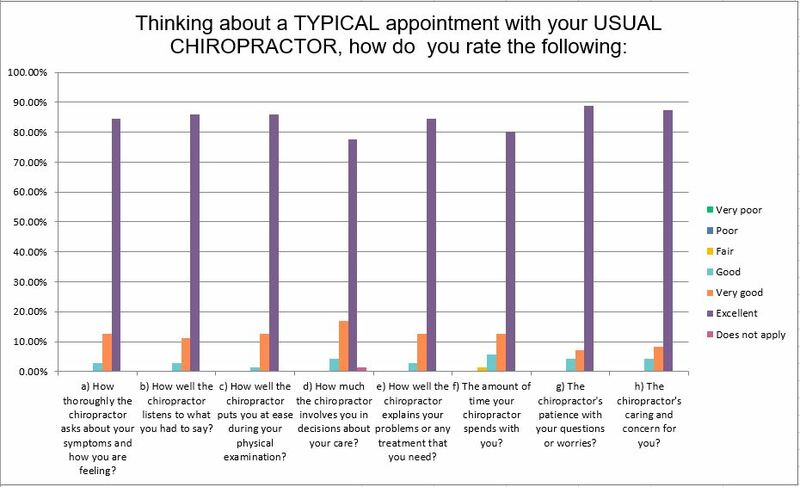 We really appreciate the feedback our patients give us and recently we conducted a survey which 100 people filled out. We were pleased to see that between 80-90% of the patients surveyed rated the practitioner as excellent in how they listened and explained what was wrong. 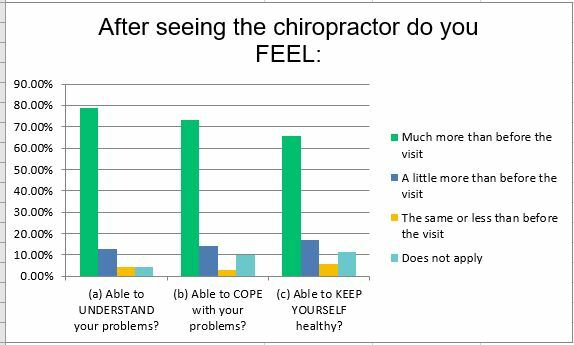 It was also good to see that patients could understand their problem better and could cope better after seeing the chiropractor or other practitioner. We also received some really lovely comments. We are very proud of our clinic and how hard we all work to help our patients. If you are in pain and would like to chat to someone about how we could help, give us a call on 01763 878087. We look forward to hearing from you. To relax. The stresses of everyday life can take their toll on our bodies without us realising it and it is very easy for the tension to build up in our bodies. A massage is a great way to help us relax. To restore balance to the body. If you are right handed say you may use you right hand more than your left causing an imbalance in the muscles with a massage can help address. A massage can highlight any potential problems and therefore help prevent an injury. Improve the circulation – a massage stimulates blood flow to the body. Helps your mental well-being. A massage makes you feel good and is a great way to de-stress. Here’s a testimonial from a patient explaining why she likes to have a massage. Have you seen our testimonials? At attend2health the main thing we are concerned about is helping people get better. We want to provide the best service possible and strive to do this everyday. We hold group training sessions to learn from each other and discuss any tricky cases with the patients permission. By working so closely together we feel we can provide the best service for our patients. 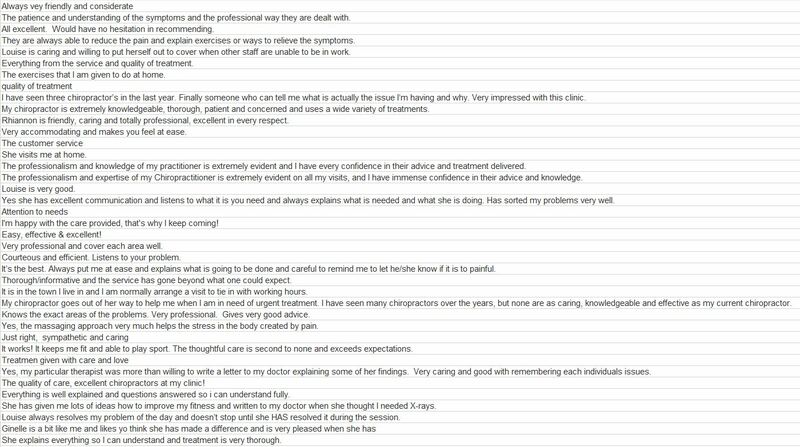 We have questionnaires for patients to fill in to make sure we are doing all we can to help and love it when we also get testimonials from patients saying how well they are doing. Currently there are 54 reviews on google which can be seen here. A couple of patients have given us a video testimonial which is great for other people to hear their experiences. One can be seen here. If you experience any aches or pains don’t wait for them to get worse call us today on 01763 87 80 87 and see how we can help. We are open 7 days a week to make it easier to get an appointment around work. From a young age I knew I wanted to help people. When I was 15 I went to observe a Chiropractor and was very impressed by the results she was getting. People were very happy with the treatment and I thought I want to do this. 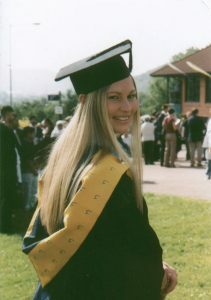 It takes 4 years to train as a Chiropractor plus you then must do a post graduate diploma to then call yourself a Doctor of Chiropractic. It was a tough course but very enjoyable as you knew everything you were learning you needed to know. After I qualified I first set up a clinic with a friend in Birmingham. We rented two rooms in a health clinic and did really well. 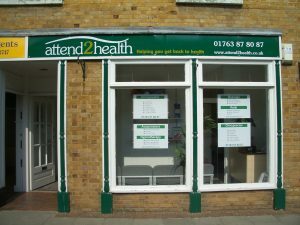 I then decided I would really like to relocate back to Hertfordshire where I grew up so I sold my share of the clinic and started the clinic in Buntingford Herts. It was daunting setting up a clinic on my own. I was 26, had just got married and was now trying to relocate our house and businesses. I found a shop for rent in Buntingford and it was perfect. 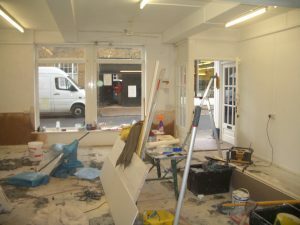 We could fit 3 treatment rooms into the building so there was room to grow. To start with times were hard especially as I had my first child in 2009 just over a year since I had started the clinic so it was not the best time to have to take on an associate. For the next couple of years we made a loss and I remember thinking how long can I go on like this. I knew it had the potential to be successful but trying to juggle children as well was very hard. I am so glad that I stuck at it and over time the clinic started to grow. 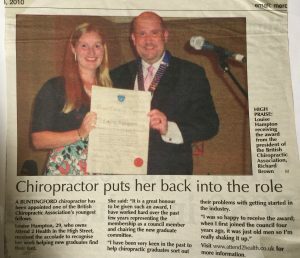 In 2010 I was awarded a Fellow by the British Chiropractic Association (BCA) for the work I had done on the BCA Council. I was very keen that the clinic had to give patients the best possible experience. I wanted to make sure patients were given a lot of time to discuss their problems and that we could give treatment and exercises without feeling rushed. Patient satisfaction is so important to me. 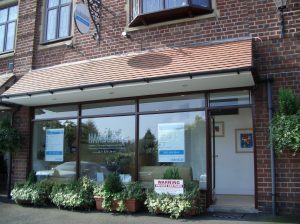 Now I have a wonderful team of practitioners and receptionists providing the best experience possible for our patients. Everyone is passionate about helping people and we all work so well together. I am so proud of my clinic. Attend2health is very pleased to announce we have been awarded Best Chiropractic Clinic in East Herts by GHP Private Healthcare Awards 2018. 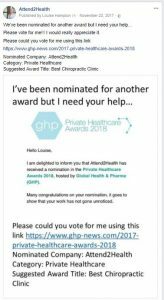 To win this award patients voted for us and we also had to submit evidence of why we deserved to win this award. This was done back in November and we are so grateful to everyone who took the time to vote for us. This was my post back in November! 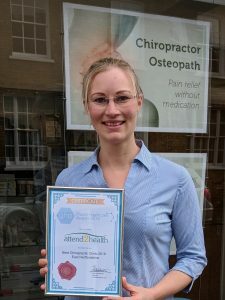 Once all our evidence was also submitted the entries were judged and we found out recently that we had won Best clinic in East Herts! It was lovely to be recognised for all our hard work. 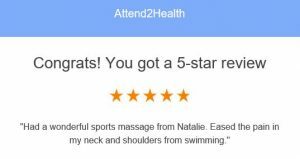 Attend2Health is very proud that it can help so many people and our 50 Five Star Reviews on both Google and Facebook show how well received we are in the community. We strive to do the very best we can for our patients. The Clinic was 10 years old back in October and is going from strength to strength with a wonderful team of practitioners. With a staff of 15 people at Attend2Health all working together if one treatment type is not suitable there are many more to try. 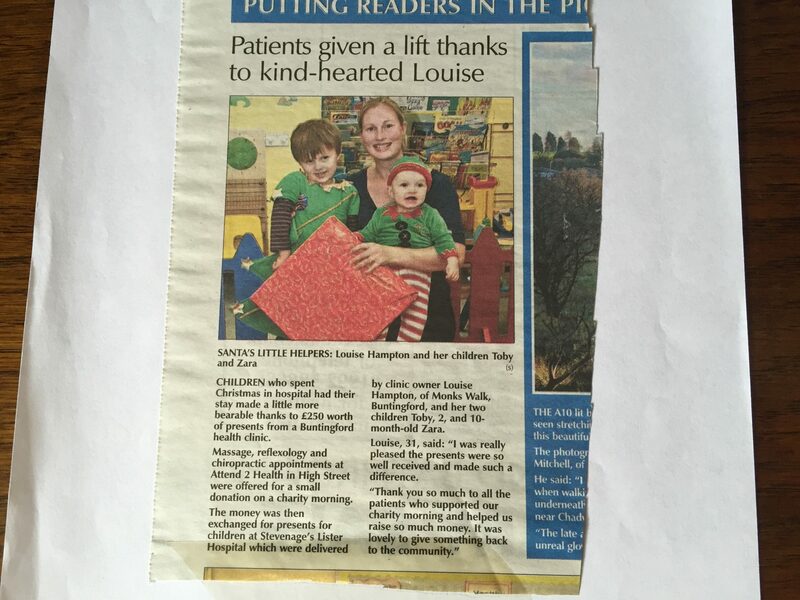 Louise explained that when the clinic started in 2007 we were just coming into a recession and times were tough. By concentrating on providing the best possible service the clinic has been able to come through the hard times and flourish into a fantastic place helping to ease peoples pain and provide them with a better quality of life. If you would like to know more about what we do or how we could help, give the clinic a call on 01763 878087 and book a free chat with one of our practitioners. We look forward to speaking to you. Things that could be aggravating your back…. • Do you spend a lot of time sitting? • Do you have to carry heavy loads? • Do you have to bend a lot? • Do you spend a lot of time driving? • Do you sleep on your front? • Do you have to look after small children? 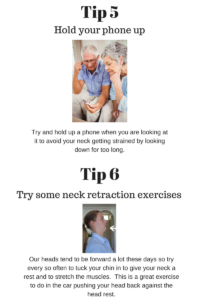 • Have you had an accident or jarred your back in the past? • Do I do any impact sports? If you answered yes to any of these questions that might be what is contributing towards your back pain. Look and see if there are any changes you can make to your everyday life to help your back. 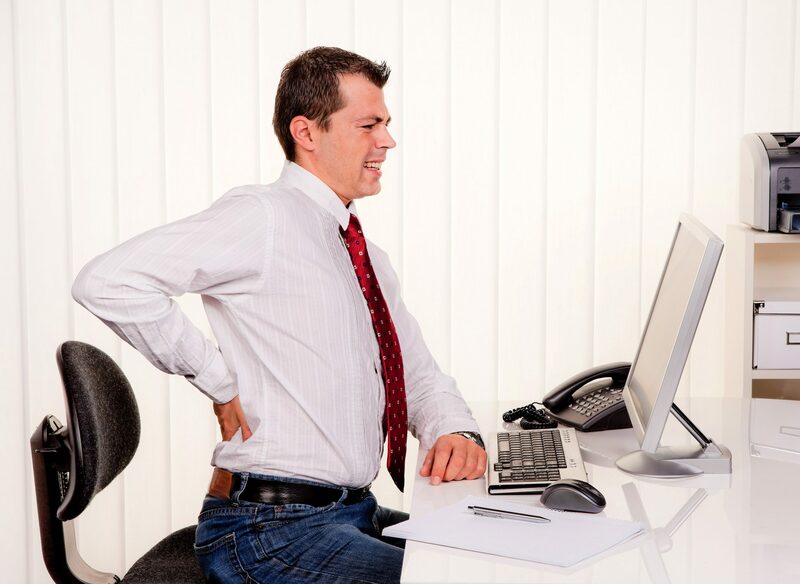 • Did you know that there is more pressure on your discs when you sit down than when you stand up? Could you get up and walk about every hour? Or lying down for 5 minutes would really take the pressure off the spine. Swimming is a great activity to help relieve the pressure as when you float there is no pressure on your spine. Just avoid breaststroke with your head up! • Could you decrease the load you are carrying or wear a support belt? Try to avoid lifting with a bad back as this will aggravate it further. Wearing a support belt could really help if you just have to lift something. • Could you bend from your hips or change what you are doing to avoid bending? Bending is very bad for the discs. Even bending forwards slightly when washing up or hoovering is enough to set it off. Ask for help with these jobs as you don’t want to make your back worse. • Could you take breaks between driving to walk about? Try and clench your buttocks in the car or wriggle around in your seat as the back gets its oxygen supply through movement. • Could you look at what you eat and reduce your calorie intake? 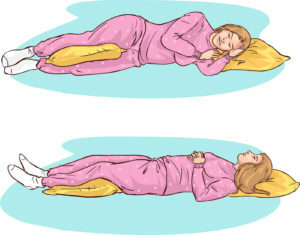 • Could you change your sleeping position? Try and sleep on your back or side. If you are on your side have a pillow between your knees. • Could you try some strengthening exercises for your back to help it recover from an injury? Look into a pilates class as these are great to help build up the core muscles. • Could I reduce my training to give my back a chance to recover? Make sure you give your back a chance to recover before going back to full training. Go back slowly so you can gauge if your back can cope with it or not. New Year New You? Ideas for New Year’s Resolutions. Happy New Year Everyone – I hope you all had a lovely Christmas. Are you thinking of New Year’s resolutions? 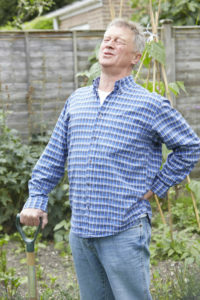 If you suffer from back pain why not see if we can help. It’s really important not to ignore back pain as it is usually a warning sign and can then get worse. We offer a free 15 minute chat so we can discuss your pain and see if it is something we can help with. Here is more information about our practitioners. How about losing weight this year? 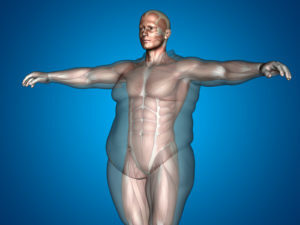 Just being half a stone or more overweight can have a big impact on your body and your health. It is so easy to put weight on but so much harder to lose. Try to get support from your friends or join a group like weight watchers or slimming world as that will make you much more likely to succeed. Extra weight can put pressure on your joints leading to pain so losing weight can really help with joint pain. Stopping smoking would also be great for your health. Smoking can also have an impact on your joint and back pain as it reduces the oxygen supply to the muscles as well as all the other benefits to the lungs and heart. Whatever your resolution make a plan and stick to it. Make small achievable goals to stay on track and persevere. Change is hard but could make your life so much better.